Your next home is in the Belle Terre neighborhood of The Broadlands! Close to shopping, schools, golf, parks, pools, walking and biking trails. This home features 6 bedrooms, 5 bathrooms, over 4100 finished square feet, main floor office, a finished basement, attached oversized 3 car garage, large kitchen with newer appliances, slab granite countertops, large island eat-in nook and sliding door access to a beautiful extended patio. Huge master suite with 5-piece master bath with attached walk-in closet, 3 additional bedrooms and 2 bathrooms on the upper level and 1 bedroom and one bathroom in the basement plus a flex room. Buyer to verify schools, taxes, and HOA dues. 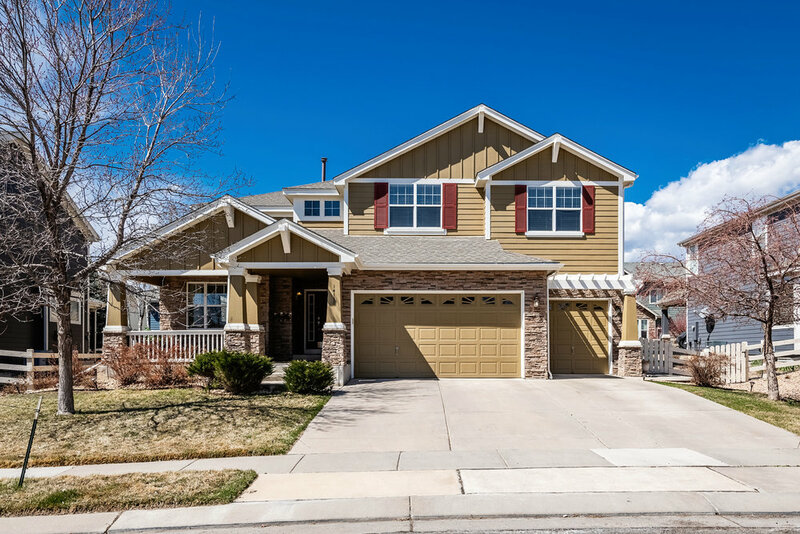 Your next home is a beautiful two-story 6 bed, 5 bath home in highly desirable Belle Terre neighborhood in The Broadland neighborhood in Broomfield. Finished basement, large kitchen with newer stainless steel appliances, built-in central vaccum, new wood floors on main level, open layout. Upper level master retreat with 5-piece master bath and walk-in closet. Oversized 3-car garage. Easy access to golf courses and the new Orchard shopping center. Hits the MLS Thursday, April 11th and showings start Saturday, April 13th. Contact me for more details or to schedule a private tour.